Just Short of a “Short Sale” – What are Your Options? Our firm frequently has clients who own property that is in foreclosure. Often, these parties wish to sell their property and move on from the situation. Once a sales price is agreed upon, the important question to be asked is whether the proceeds from the sale are sufficient to pay off the debt on the property, or, if not, what the expected deficiency will be. As attorneys for the person selling a property in foreclosure, we would calculate the amount of all liens and judgments on the property, including the mortgage or mortgages in default, the costs and expenses of the sale, including New York State transfer tax and any local transfer tax, as well as the agreed upon broker’s commission for the sale. This figure is then compared to the negotiated sales price for the property, as per the Contract of Sale. In many situations, the proceeds may comfortably exceed the debts on the property and the expenses of sale. For example, the total debt and expenses of sale may total $400,000.00, and the sales price may be $500,000.00. In this case, the seller may move ahead with the closing and expect to walk away with some additional funds after all costs and expenses of the sale are paid, including the broker’s commission and transfer taxes associated with the transaction. But what happens if there are insufficient funds from the sales price to cover the debts and expenses encumbering the property? Let’s say the debt and expenses of sale are $400,000,00, and the sales price is only $375,000.00. In that situation, the person selling the property has several options, which will be discussed in this blog post. The first option available to the seller would be to call off the sale and simply turn over the property to the lender. This is called a deed-in-lieu of foreclosure and should not be considered if the seller has already signed the Contract of Sale, making him obligated to sell the property to the buyer. Many lenders will require that the application provide financial information showing that this is their only option. In addition, if there is a second mortgage on the property, the holder of the first mortgage will still have to go through the full legal foreclosure process to eliminate the second lien, and therefore will not agree to a deed-in-lieu. An experienced attorney can explore this option with the primary lender. The second option would be for the seller to apply for a short sale. A short sale is where the lender agrees to accept a lower figure at the sale than the full amount it is owned on its mortgage. It may agree to a small reduction in order to allow the sale to go through. In order to obtain a short sale, the seller must make a formal application to the lender, and provide voluminous financial disclosure. 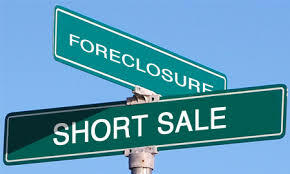 The lender may take several months, or even longer, to decide whether to allow a short sale, which may jeopardize the sale, as the buyer may not wish to wait for the short sale process to occur in order to close. The third option is for the seller to use some of their own personal funds in order to have the sale close. In such situations, the shortfall may be one that the seller has sufficient assets to cover. Let’s say the sales price is $500,000.00, and the debt on the property is $510,000.00. Many individuals may decide to simply write a check for $10,000.00 at the closing out of their own personal funds in order to resolve the situation and get a “fresh start” by getting rid of a problem property. Every individual must make their own decision as to whether this is a viable solution to their situation. It is important to have experienced counsel evaluate these situations properly, so that the seller can make an informed decision on how to proceed when they are “just short” of a short sale.